On Saturday, July 27th from 7pm-11pm we will be hosting a signing and gallery show with LEONARD KIRK featuring the original artwork from THE HUNGER #1, published by Marvel Comics. Issue #1 arrives at comic shops this Wednesday, July 24th. Many of the pages will be available for purchase. 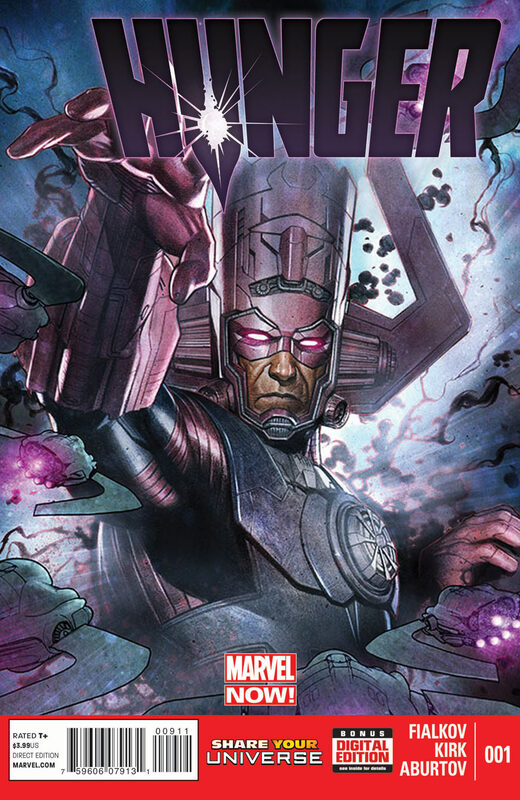 Written by Joshua Hale Fialkov, with art by Leonard Kirk and covers by Adi Granov, THE HUNGER picks up where AGE OF ULTRON left off, as Galactus makes his way to the Ultimate Marvel Universe. 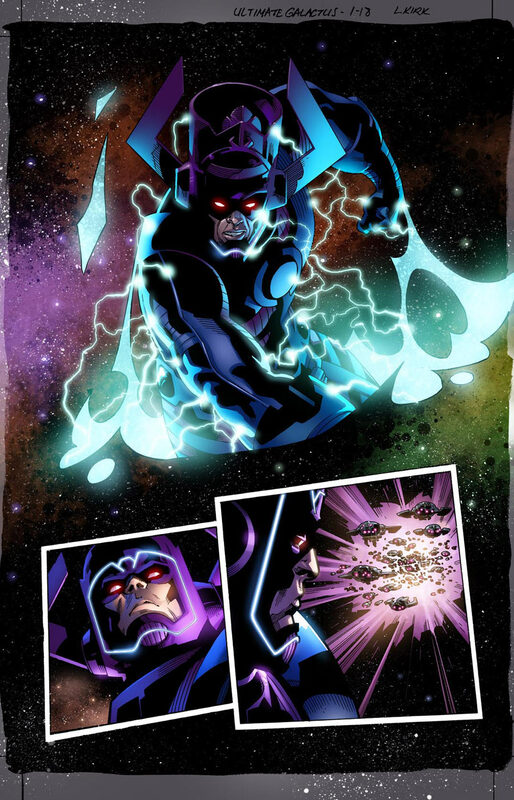 This series leads directly into Brian Michael Bendis and Mark Bagley’s CATACLYSM mini-series which may or may not be the end of the Ultimate Marvel Universe.